My secret to long lasting makeup may surprise you... My little helper is not a product that will break the bank and little technique is required. You don't need to go out and buy the hottest new beauty tool nor search for hours online to find something that is so hard to come by. I was lucky to stumble upon this as it's not something I ever think to look for. Especially just on the high street! 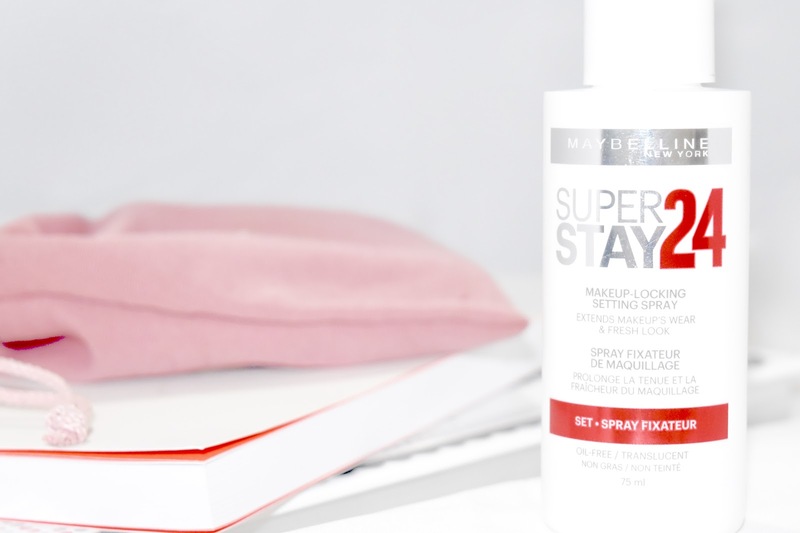 Whilst picking up my favourite mascara from Maybelline, I was surprised to see that they have released a makeup setting spray! Maybe I am just blind but I have not seen one of these in my local beauty store before... Only the over priced high end types! Of course, I immediately jumped on this. 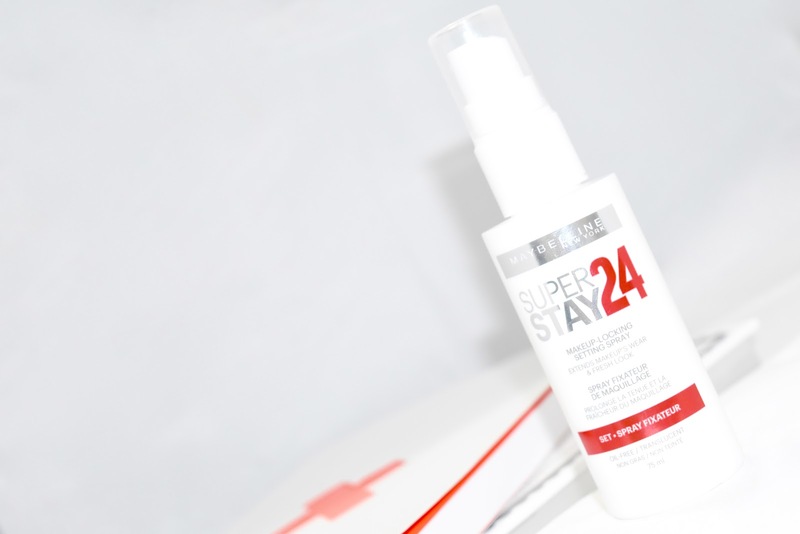 Who can deny a setting spray which costs below £7?! I have tested multiple setting sprays from high end brands but did not have any expectations as I did not enjoy any of them. I have found that past sprays made my skin feel, well just plain gross, if I'm honest. They would leave, what felt like, a heavy layer of product on my skin which could lead to some minor break-outs. Because of this, I have never finished a full bottle and almost vowed to steer clear of setting sprays, for good. The first time I tried the Maybelline setting spray, I actually messed up by not shaking the container (which is clearly stated in the instructions... Duh!) This left quite a few white dots on my foundation which was nothing a little blending couldn't fix, so that's good to keep in mind. I wouldn't recommend trying it though. Just give it a good shake before each application and I promise, you will not see a thing. This spray provides such a fine mist which is easily applied by spritzing at arms length in a clockwise motion around the face. I typically go around twice but it's completely up to you how much you wish to apply as you will feel when you've had enough. There is so much product in there anyway so go mad, if you really wish! Not only does this keep my foundation and blush in place all day, it keeps mascara from transferring, eyeshadow from creasing and lipstick in place for longer. It's just the perfect finishing product which even works well over powder as well as liquids/creams! I can't rave about this enough... Please give it a go and let me know what you think. I am sure you won't be disappointed! Also, if you have any recommendations for affordable setting products, let us all know in the comments below... Sharing is caring!